Uluru (also known as Ayers Rock) is a massive sandstone monolith in the heart of the Northern Territory’s arid "Red Centre". 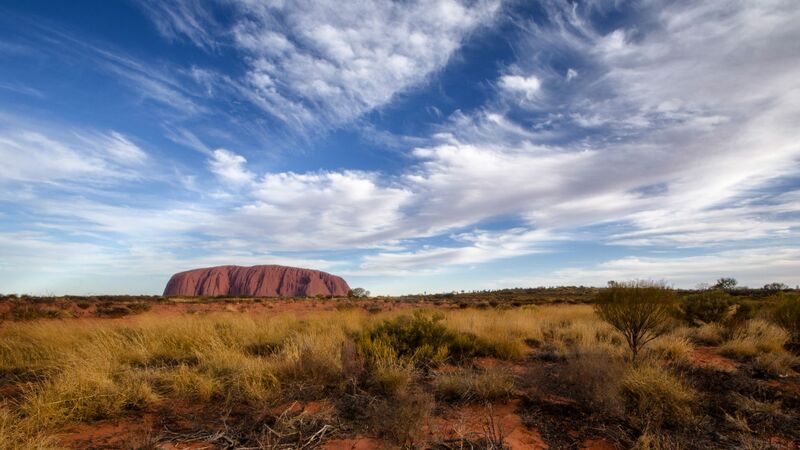 Uluru is sacred to indigenous Australians and is thought to have started forming around 550 million years ago. Quite easy to reach from the Ayers Rock Resort, Yulara Airport. Otherwise you can buy a tour guide.